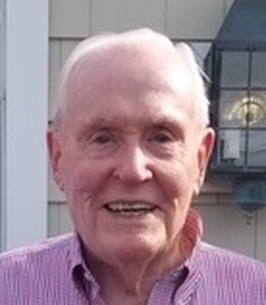 Donald J. Fitz Maurice, 93 of Red Bank passed away on Saturday October 27, 2018 under hospice care at Brighton Gardens, Middletown, NJ. Don was born and raised in Orange, NJ and was a graduate of Seton Hall Prep and Seton Hall University. He was a proud US Army Air Corps veteran, serving as a tail gunner in a B-24 Liberator in the European theater of WW II. Don received the Purple Heart for injuries sustained in October 1944. Don was active in helping other veterans gain VA benefits when he was living in Seabrook Village. After military service Don met the love of his life, Margaret Thornton. They raised their six children in Livingston and Maplewood, NJ. Don was one of the founding members of the Knights of Columbus in Livingston, NJ. Don served as a New Jersey Assemblymen from 1956 to 1958. Don and Margie moved to Brielle and then Seabrook Village in Tinton Falls. Don moved to Red Bank in 2015 after Margaret’s passing. Don was employed in the advertising business before specializing in the printing industry. Don was appointed the US Deputy Public Printer in 1981 for the Reagan Administration. After his government service Don established his own Marketing/Public Relations consulting company. Don raised the funds to build the Chapel at Seton Hall Prep School in honor of his son Donald, Jr.
Don was predeceased by his wife of 63 years Margaret in 2014 and their eldest son Donald, Jr. Don is survived by his daughters Kathryn Fitz Maurice, Patricia Weston and his sons Michael, Timothy and Paul (Joyce) Fitz Maurice. “Pop” will be missed by his grandchildren Kelly and Hobey. Family and friends are invited to attend a visitation on Thursday November 1, 2018 from 4-8 pm at Orender Family Home for Funerals 2643 Old Bridge Road Manasquan. A Mass of Christian Burial will be 10:30 am on Friday November 2, 2018 at St. Catharine Church, 215 Essex Avenue Spring Lake NJ 07762. Interment will follow at St. Catharine Cemetery, Sea Girt. In lieu of flowers memorial donations may be made to the Seton Hall Prep Donald J Fitz Maurice, Jr. Chapel Fund, 120 Northfield Avenue, West Orange, NJ 07052. To send condolences to the family please visit www.orenderfamilyhome.com. To send flowers to the family of Donald Fitz Maurice, please visit our Heartfelt Sympathies Store. My condolences to the family of Mr. Fitz Maurice. I too worked at the GPO from 1958 till 1995. Retiring as Director of Administration. I served under many Public Printers and Deputy Public Printers. Don was a fine man and I cherish my memories of him. God Bless.